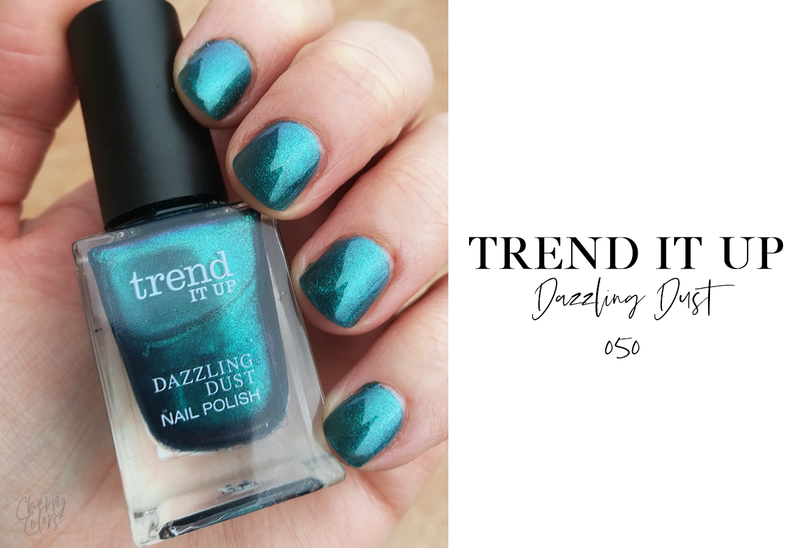 TREND IT UP Dazzling Dust Nail Polish 050 - Cherry Colors - Cosmetics Heaven! 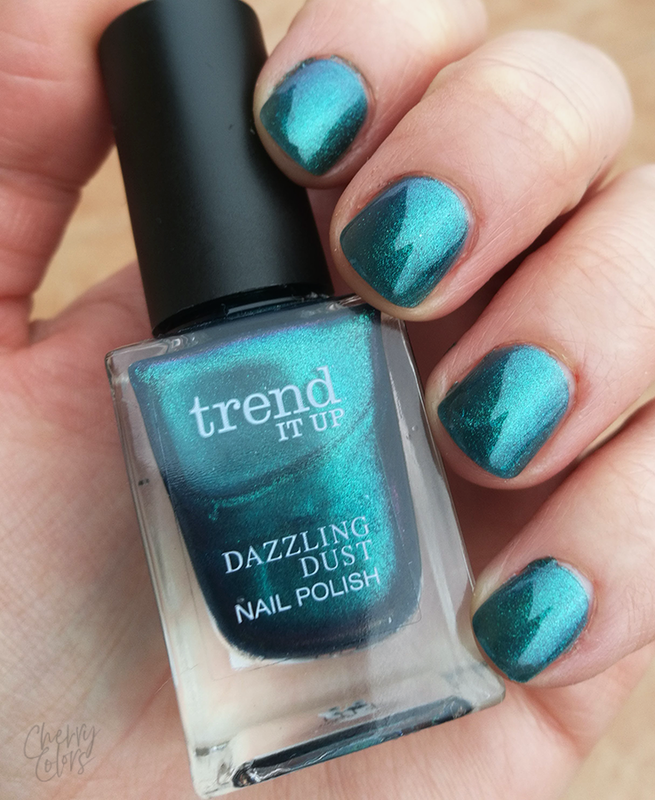 When I went to the drugstore I couldn't resist picking up this really beautiful looking diochrome nail polish. The edition is a December/Januar one and it contains some really sparkling products. I've seen several different shades of nail polish but decided to pick just this one up as I love blue/purple shifts. 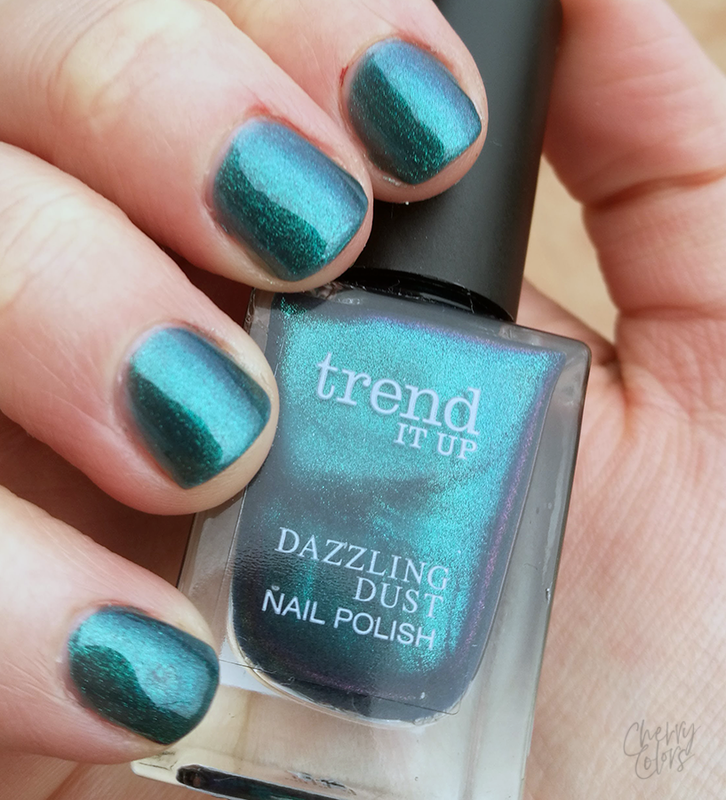 The semi-transparent Dazzling Dust Nail Polish with its colorful shimmer finish for festive nails. Nail Polish is available in 6 different colors and all shades are vegan. I used 4 layers of nail polish since I didn't know this was a semi transparent nail polish. Most of the stuff is written in German and thus leaving me clueless. Anyway, the formula is very watery and it kept running into my cuticles. The color shift is noticeable only in indirect light when there's sunny out there, because it creates deeper shadows. I really like the color but I'm not a fan of the formula. It's too watery and it needs too many layers for an opaque look. Next time I'll try it over a black / white nail polish.